Hello, we are a startup with a revolutionary idea that we plan to take public within a few months. 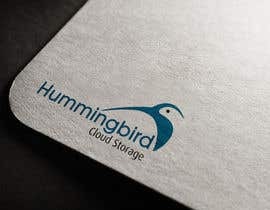 We are a tech startup oriented specifically for the cloud-industry. We plan to heavily market our product and build up anticipation before launching via crowdfunding to give us the financial resources necessary to make it a reality. In order to accomplish this we need an iconic logo design, tech firms around the world have their symbol which represents them. We need a modern and clean logo with a clean and modern typeface and most importantly a distinct icon/symbol. The startup is called "Hummingbird" the full name is "Hummingbird Cloud Storage." 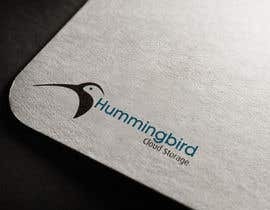 In the logo, "Hummingbird" should obviously take precedence, and "cloud storage" should be below, etc. 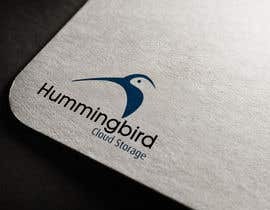 The name is not solid, if you feel you have a better idea for the name, or a better idea to replace "cloud storage" feel free to do so in your design. If the our idea is successful and we anticipate it to be, we will contact you for the potential to do more graphic work for us in a more job-like setting and to make some more money! We also plan to pay more to the designer for the logo after the completion of our campaign! Cheers! Thanks, sorry for all these changes! I'm a graphic designer myself and I'm crazy about all the little details! For this project, I myself made at least 20 concepts, but none truly satisfied me. With the icon present in yours, it finally clicked. The icon is one that will be all over the brand, including on our product, so it needs to be perfect! Thanks Hubbak! I do like the font choice, very close to what I envisioned, let's try Gotham maybe? Though the icon is interesting, I want something more simplistic. 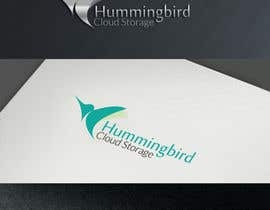 Let's get rid of the line and "Cloud storage" and focus on the top two elements. I want the icon to be simple, clean, and unique. The presence of both the cloud and the bird is not needed. I feel like you have potential to create something great! Update: No dividing lines please! 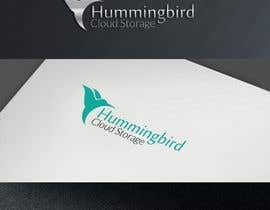 In future entries, simply leave out "cloud storage" To get an idea of what I mean by a symbol logo, check out the Seagate, apple, microsoft, etc. It needs to have an iconic symbol that is not to crazy and detailed but clean and modern and it needs to have text that matches it with a smooth and modern typeface. Please do not blend text with the symbol and try to make them one. 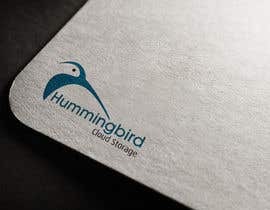 Are there any specific colors you would like to see used in the logo? I particularly favor the flat color scheme, any color really is fine. If you'd like to enter different color versions of your entry, that would be awesome.